I try to avoid dwelling on the negative points of religion here – I’m the Friendly Humanist, after all. But sometimes, people use religion as an excuse to do mind-numbingly stupid things. I mean literally mind-numbing, as in “blunting the power of their own and others’ minds”. There is a brand of religious creationism trying to brand itself as “science” in order to undermine what its proponents see as the harmful and oppressive truth of evolution. Maybe you’ve heard of it? It currently goes by the name “Intelligent Design“, or ID. And a recent development in the non-scientific argument to accept ID as science is the American film Expelled: No Intelligence Allowed, which by all reports combines bad science, bad history, and bad cinematography into an appeal to force scientists to consider ID alongside actual fact-based theories. I won’t bore you with that – you can read all about it (and recent irony-laden incidents) on any number of blogs. The main point of this post is to follow the suggestion Skepchick Rebecca posted yesterday about the new website, Expelled Exposed, published by the American National Center for Science Education. This website provides scientific responses to the distortions and untruths promoted in the film. There is a curious effect that animators, speech technologists, and psychologists encounter called the Uncanny Valley. 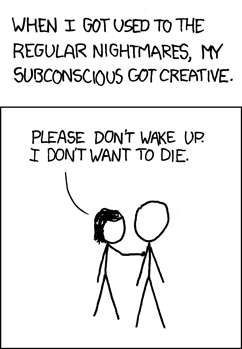 Consider cartoons. A stick figure doesn’t look very human, but it’s also fairly nonthreatening. Mickey Mouse has more person-like features, and so elicits a more sympathetic reaction. A nice, fuzzy CG Sully can be even more appealing. But the trend isn’t all in one direction. There comes a point along the continuum of increasing realism where the emotional response drops precipitously – where looking (or moving or sounding) a little more like a human is suddenly a very bad thing. This is the uncanny valley – depicted graphically below Mickey there. 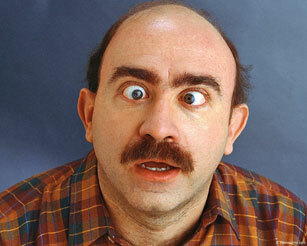 Now, astronomer Phil Plait of Bad Astronomy recently had a very unsettling experience. He saw a depiction of a beloved cartoon figure de-cartoonified. I followed his link, and had the same gut reaction. There is something deeply, viscerally disturbing about images like this. I’m going to give you the direct link in a moment, but you really need to brace yourself. No really. Look, I’m not kidding – see, I have my most serious, academic look of caution and concern on. Phil is a man who has stared into the depths of space and time and come back grinning, and he said “this totally and whole-heartedly freaks me the hell out.” He says he’ll never watch The Simpsons again. I study the muscular coordination of speech in the voice box, sticking endoscopes up their noses to see what’s going on inside, and this image freaked me the hell out. Okay, here’s Phil’s post, and here’s the original article with the disturbing too-human-Homer image. There. Now you believe me, don’t you? That’ll teach you to respond to extravagant claims with cautious scepticism, won’t it? When our daughter, Kaia, was born, she was a little big. 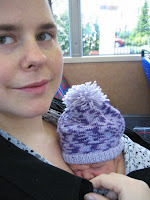 And she got bigger so fast that before she was a month old she had grown out of the lovely purple tam I had knitted her. At six months old, she has bigger feet than her ten-month-old cousin. Everyone – medical professionals, family members, complete strangers – sees her size as a sign of good health, and praises her for it. She is a big girl, and it’s a good thing. Her mom is also bigger than average, and also time-stoppingly beautiful. But people, especially doctors, rarely take her size as a sign of good health. Doctors worried about it when we were trying to conceive; they worried about it when we succeeded and started planning for a minimum-intervention birth; they worry about it almost every time she has an appointment with them, whether her complaint is size-related or not. When does being a big girl go from a sign of good health to a sign of bad health? Why? This is not just a modern question about human development. It is also an interesting historical question. For much of human prehistory, the most worrying medical problems were malnutrition and starvation – being big was a sign that you were healthy, had a reliable diet, and (probably) that you were well-off. 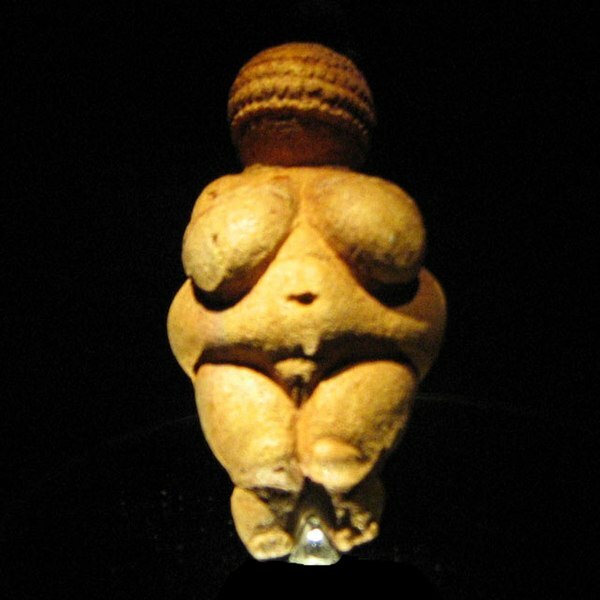 And of course, fertility and sexuality were positively associated with good padding, as figures like the Venus of Willendorf attest. When did being a big girl go from a sign of good health to a sign of bad health? What changed? Perhaps the health risks of being big were just obscured by all the other difficulties ancient people faced. Today, we’ve all heard that being big puts you at greater risk for heart disease, diabetes, and various other causes of early death. We all know these are established facts. Don’t we? And he’s not the only one to debunk popular myths about weight. So where does that leave me? I have a big, beautiful, cheerful daughter, who is growing up in a culture where big becomes a liability at some stage in the process of growing up, despite the absence of empirical support for the prejudice. Will the ignorant assumptions of people around her give her feelings of inadequacy and shame? Will she be driven to try unhealthy diets in a desperate attempt to fit into the insanely limited idea of beauty promoted by media? Fortunately, Kaia has several things going for her. She has her own natural love of being. She has family who love her as she is. She has parents determined to arm her with the critical thinking skills to combat the culturally-biased spin that the media (and many scientists) put on legitimate scientific research into human health. She is growing up in a world where many people are determinedly combating the irrational preconceptions of the wider society – the size acceptance movement, as well as a quietly successful fact-based, government-sponsored health sector focusing on a balanced diet and a sensible amount of exercise. (it’s now one of my favorite songs), but also a photo of her lovely, swimsuit-clad, pregnant self – a charming celebratory affirmation of big beauty. And when it comes to big affirmations, she’s not the only one. Not by a long shot. So finally, here’s a picture of the two most important, stupendous, heart-flutteringly delightful women in my life. This is the second of 3 reflections on the 2008 Alberta election. In the first of them, I railed against the fact that 53% of the votes were translated into 87% of the seats – an overwhelming legislative majority from a bare minimum popular majority. What I didn’t dwell on is the fact that those 72 seats were actually won with the support of just over 20% of eligible voters. Overall, only 41% of people who could vote did vote. Apathy in this wealthy province is rampant. Part of me feels the same way about this as I do about people who found last year’s Scottish ballots too confusing – that people who can’t be bothered to put a little time into exercising their democratic rights deserve to be uncounted. Democracy depends on an informed, responsible electorate, which in my mind excludes people too lazy to vote, or too lazy to take the time to understand a ballot a six-year-old could follow. But there’s more to it than people getting what’s coming to them. If a government can come to overwhelming power with the support of only 20% of the people, is it still a democracy? What if it’s just 10%? 5%? Those of us who take our democratic responsibilities seriously can’t just sit back and sneer because so many of our neighbours are disenfranchising themselves. We all benefit from a thriving democratic process in which everyone participates and feels involved. There have already been proposals regarding Albertans’ apathy. The main contender seems to be suggestions for compulsory voting. Several countries have some form of sanction to encourage voting, from the mild fines in Australia and Belgium to heavy financial consequences in Bolivia and even difficulty getting a driver’s licence or passport in Greece. The evidence suggests that compulsion does, indeed, increase participation. But the question is whether this forced participation is good for democracy. As I said above, democracy is based on informed, responsible participation. As anti-compulsion campaigners in Australia point out, you can force someone to vote but you can’t force them to vote responsibly. At worst, compulsion would mean that the 60% of people who currently don’t vote in Alberta would just vote randomly, obscuring any rational, considered decisions from the 40% of responsible voters. It could make a mockery of the idea of democracy. What we need is some means of persuading people that their vote counts, that it is worth their while to voluntarily educate themselves on the choices and vote out of a will to participate. What we need, in fact, is electoral reforms. See my previous post for more details on electoral reform. Check out the table of countries in the Wikipedia article on voter turnout. Notice that Canada is toward the bottom, with 76% turnout in recent elections. Alberta’s 41% would be well off the bottom of this graph. If you go through this list of 36 countries and look up what their electoral system is, you’ll find that the first-past-the-post system we use here in Canada is far more prevalent toward the bottom, among the countries with lower voter turnout. I admit, this is by no means a clear and rigorous statistical observation, but it is suggestive. Compulsion as exercised in other countries is often not severe – the fines in Australia are under $100, no worse than a speeding ticket – but it attacks the wrong problem. The problem is not simply that not enough people vote; it’s that not enough people feel involved, not enough people are inspired by the idea of participating in a democracy. Part of that is due to an electoral system that doesn’t represent voters’ preferences well. Part of it is because most voters today haven’t been face-to-face with the alternatives to democracy. Part of it is because we often have rather insipid, uninspiring politicians. I’d rather not have to go to war or beat down an upstart dictator in our own country just to inspire participation in our democracy, so let’s see about changing things on a less revolutionary level, eh? Simple, empowering electoral reforms have a real chance of turning around the rampant apathy we have in Canada, Britain, and other developed countries. I heard it from Phil at Bad Astronomy: Arthur C Clarke has died. 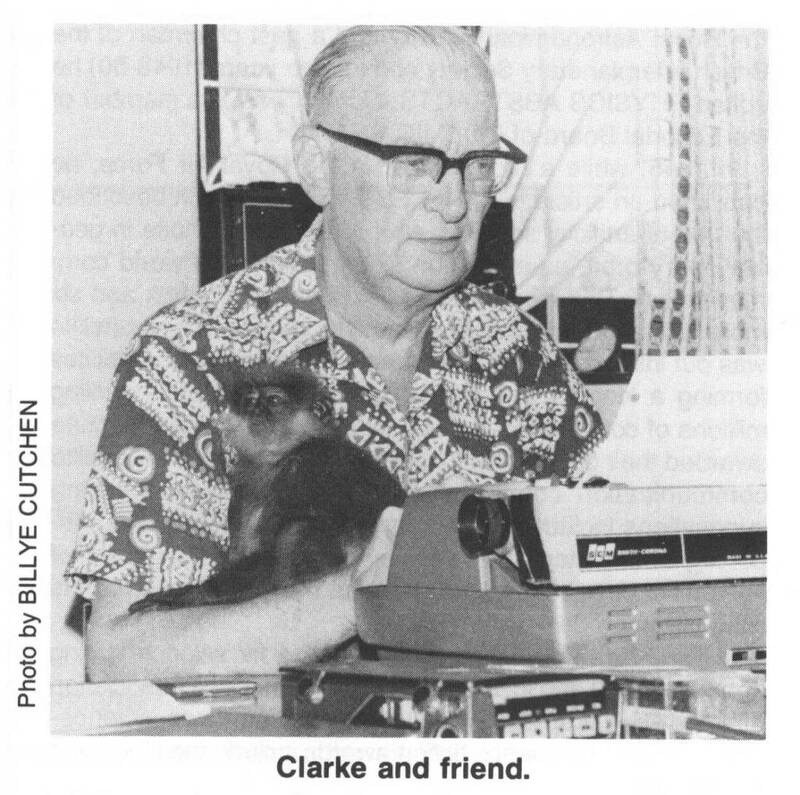 One of that great and noble class, the science fiction writers, Clarke was one of my dear companions growing up as a somewhat introverted youth in a small rural community. Not only did the writing of these people – Robert Heinlein, Isaac Asimov, Arthur C Clarke, Orson Scott Card, Ursula Le Guin, and others – give my quirky imagination exciting places to play; they showed me how truly exciting science is, and the reality it exposes. I could go on at length, but instead I’ll leave you with time to spend reading something of his. Check out the bibliography on his Wikipedia page; read something there that you haven’t before (or, if you’ve read them all, re-read your favorite). Learn about his foundation. May we all carry on his wake, continuing to realize the dreams he shared with us and always dreaming new ones to draw us into a better and brighter future. 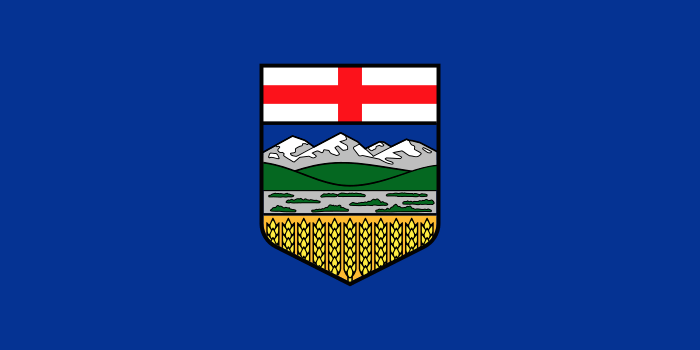 This past Monday, there was a provincial election here in my home province of Alberta, Canada, in which the reigning Progressive Conservatives (the “Tories”) advanced their majority, ending up with 72 of the 83 seats in the provincial legislature. So, is the new legislature representative? Only in that the parties with more votes got more seats – the proportions are wildly out. Part of that is due to the fact that the PC stronghold – the rural ridings – have smaller populations. At the extreme, the largest riding is Calgary North West with 60,511 voters and the smallest is Dunvegan-Central Peace with 23,649, just over a third as many voters, according to this academic source. But a big part of the problem is the plurality (or first-past-the-post) voting system. It is the most simplistic, least representative sort of ballot used in modern democracies. For example, many of the seats won by the PCs in the recent election were won with less than half of the popular vote. That means representatives sitting in legislature, representing a riding where more than half the voters voted against them. Disadvantages of our plurality voting system include split votes and the necessity of tactical voting. There are so many alternative voting systems that I won’t even mention them all – just a couple I have recent experience with. The recent Scottish Parliament elections used a mixed plurality and proportional-representation system to combine individual representation with party-proportional balance. Most people found it fairly straightforward, and I for one felt much more empowered than I have in simple first-past-the-post elections. The local council elections held at the same time used the Single Transferable Vote (STV) system, which is even easier to understand and implement. In it, a voter marks the candidates in order of preference. You can follow the above links to find out more, but the consequence is that, on one paper, you can express not only who you would most like to get in, but also who you would least like to get in. 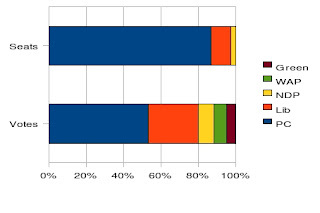 As an example, there are several seats (at least 9 by my count) in this election that had more people voting for “left-ish” parties (Liberal, NDP, Green) than for “right-ish” parties (PC, Wildrose Alliance), where the PC candidate got in because the left vote was split. STV would allow “left” (and “right”) to effectively vote as a block, without abandoning the important distinctions between the different individual parties – 9 more seats in legislature toward the 47% of Albertans who didn’t vote PC. And I’m not alone in being disappointed with the non-representative flaws in our representative democracy. Fair Vote Canada is campaigning for federal and provincial voting reform. Is there a legitimate, ethically-justified defense for maintaining the current voting system, when the alternatives are easy, well-tested, and more representative (ie, more democratic) than what we have now? * Alberta election data used here is taken from Wikipedia’s comprehensive 2008 election page. Please let me know if my numbers are wrong. Just wanted to point you to a milestone in science that you can mark today – the 139th anniversary of Mendeleev’s Periodic Table of the Elements. Thanks to the Skepchicks for the heads-up (and cool links – look in the comments too). Try Wikipedia (as always) for even more info and links.